As bus drivers go, he’s the strong, silent type. His name is Manny Quinn, and he’s sharply attired in an old-school WRTA uniform. In fact, as his name implies, he’s a mannequin — and he’s the star of a fun social media contest designed to highlight the many locations served by WRTA’s fixed route buses. The “Where’s Manny?” Contest is held on WRTA Facebook page. There will be a new installment approximately every two weeks. A photo of Manny, shot from a close perspective with just a hint of his surroundings, will be posted at 9 a.m. on a designated day announced prior to the event. The first person to correctly post on Facebook where the photo was taken will win a $50 Visa card that can be used wherever credit cards are accepted — even online. The second correct guess will win 10 free WRTA adult ride passes. Additional prizes may be added to the contest. 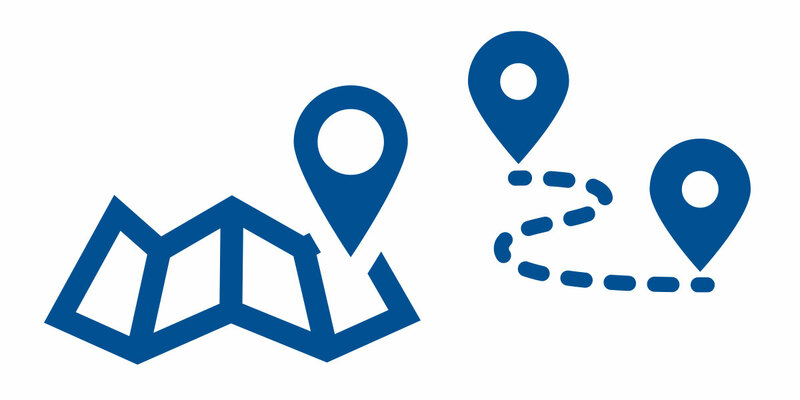 You may guess as many times as you like, but name only one location in each post. Multiple guesses in one post are not permitted. If there are no correct answers from the 9 a.m. posting, a second photo will be posted at 5 p.m. the same day that shows a little more of Manny’s surroundings. The first person to correctly post on Facebook where the photo was taken will win a $25 Visa card. 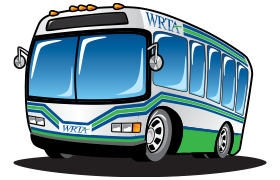 The second correct guess will win 10 free WRTA adult ride passes. Additional prizes may be added. If there are still no correct answers, a third photo will be posted from an even wider perspective at 9 a.m. the following day. The first correct post identifying Manny’s location will win 10 free WRTA adult ride passes. Manny will always be shown at a business or other public location that is along or near one of the 26 WRTA fixed routes that serve Mahoning County and portions of Trumbull County. Winners must pick up their prize at the WRTA offices, 604 Mahoning Ave., Youngstown. To be proclaimed the “official winner” and claim their prize, the winner must also agree to identifying themselves for promotion of the contest, and allow their name to be used in promotional announcements, press releases and related materials. Winners will be chosen by WRTA officials and their representatives based on the earliest/first Facebook time stamp on the post as seen by WRTA. Decisions on winning selections are final. You and your immediate family members are eligible to win the Where’s Manny? Contest one time in a 60-day period. 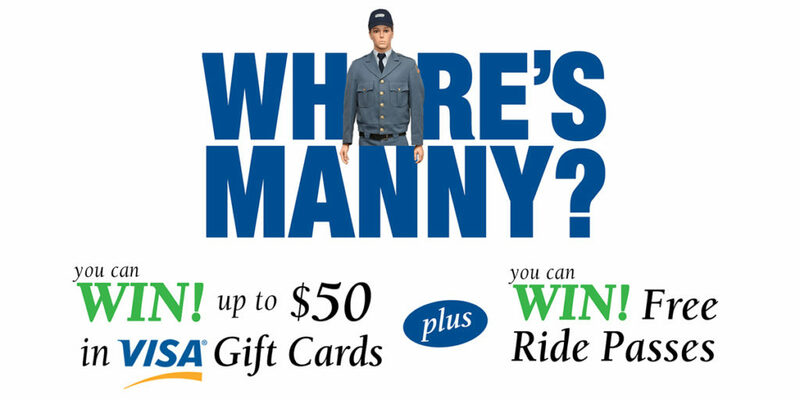 WRTA employees (and their family members) are not eligible to participate in the Where’s Manny? Contest. Employees (and their family members) of businesses and organizations featured in the Where’s Manny? Contest are not eligible to participate in the contest. Participation in the WRTA “Where’s Manny?” contest indicates acceptance of these rules and regulations.